Important! You will be charged SEMrush API units each time you create a new SEMrush data source in Klipfolio or refresh your SEMrush data. As a result, we recommend that when you create a SEMrush data source, to set the refresh rate to once a day. 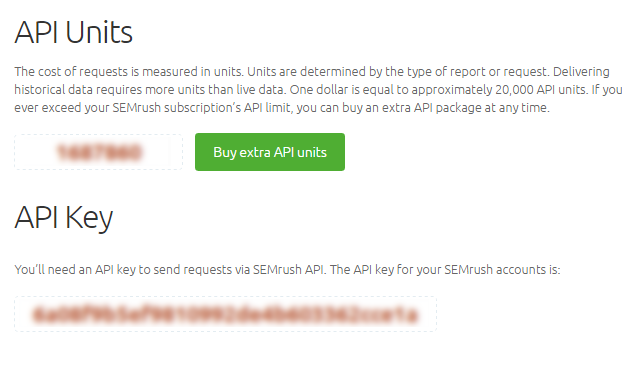 If you ever exceed your SEMrush subscription’s API limit, you can buy an additional API package from SEMrush. Craft a query and save your data. 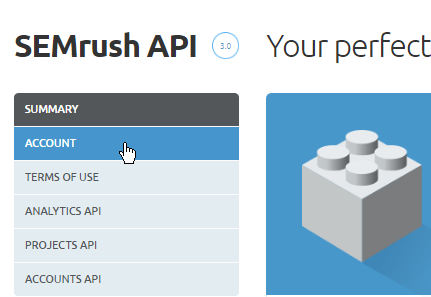 To get data from SEMrush, you need an API Key from SEMrush. Open a new tab and login to your SEMrush account. 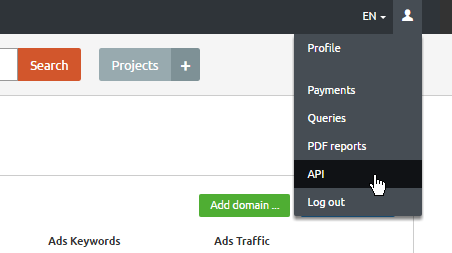 Click on your Profile, and select API from the drop-down menu. Keep your API Key handy - you'll need it for your query in Klipfolio. 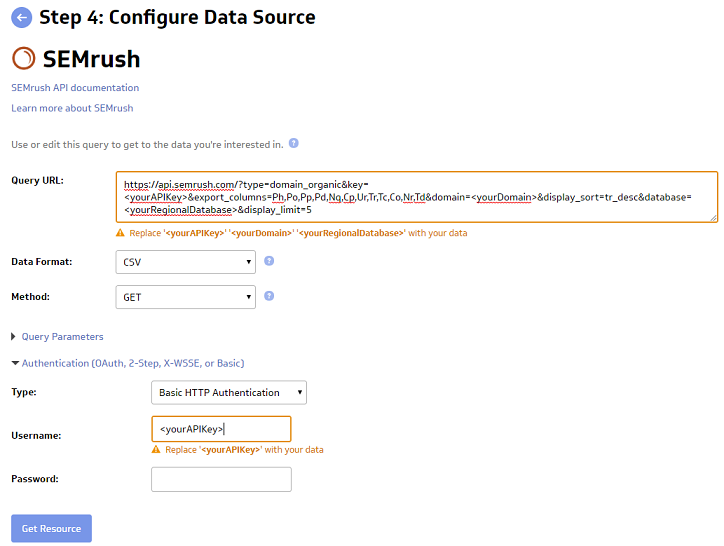 To create a data source using SEMrush, go to the New Data Source page in Klipfolio and select SEMrush. To get started crafting a query, refer to the to the SEMrush API documentation. And remember! You will be charged SEMrush API units each time you create a new SEMrush data source in Klipfolio. In the Authentication (OAuth, 2-Step, X-WSSE, or Basic) menu, under Type, select Basic HTTP Authentication. At Password, leave the password blank. If you are satisfied with the data returned, click Continue.